Has a cancer diagnosis left you feeling frightened, alone, and confused? 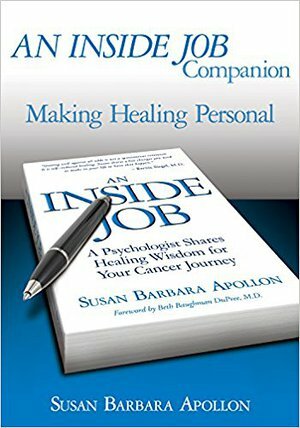 Let intuitive psychologist Susan Apollon guide you along the journey back to wellness with An Inside Job Companion: Making Healing Personal. This extraordinary workbook follows the healing principles outlined in An Inside Job, Susan s integrative guide for those facing the challenge of cancer. It offers thought-provoking exercises, insightful questions, and a new perspective on why cancer can be viewed as a gift and an opportunity for spiritual growth. Plentiful blank pages throughout provide space to journal your thoughts and feelings and invite additional discovery. It s time to regain your sense of peace, balance, safety, and, above all else, your awareness of the power of love.